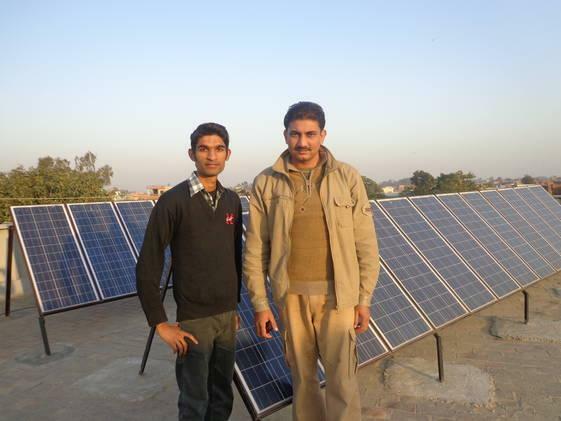 Several houses in the Oblate Delegation in Pakistan have been blessed with solar energy systems. On three roofs, solar electric panels stand facing the sun, which convert sunlight into electricity. These houses are: Mazenod House (Superior’s residence) Lahore; Oblate Philosophate, Lahore; and Oblate Juniorate, Multan. (2 March 2011) – The High Commissioner for Human Rights Navi Pillay on Wednesday condemned the assassination of Pakistan’s Minister for Minority Affairs, Shahbaz Bhatti, who is the second high profile public figure to have been killed since the beginning of the year apparently because of their opposition to Pakistan’s blasphemy laws. Mr. Bhatti was killed when gunmen attacked his car in Islamabad on 2 March. On 4 January, the Governor of Punjab province, Salman Taseer, was also assassinated in Islamabad by one of his own bodyguards, because of his opposition to the blasphemy laws, and in particular his call for a Christian woman, Asia Bibi, sentenced to death under those laws, to be pardoned.